In case you hadn’t noticed Microsoft is moving its software models to the cloud as fast as it can. For SharePoint this has profound impact. In a hosted or cloud model customisation is very limited simply because the options for “custom code” are specifically limited within this architecture. 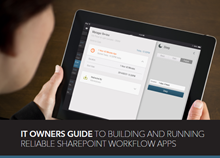 Yet customers need custom forms, workflows and access to data to drive business value in SharePoint 2013 and O365. These capabilities are extremely limited and in some cases non-existent in the new SharePoint and O365 architecture. 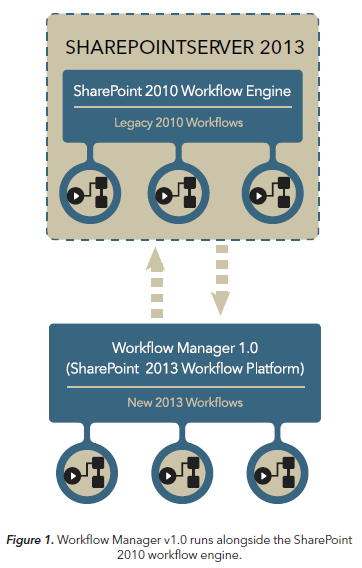 Despite the addition of new features, workflow in SharePoint 2013 remains limited in many scenarios. SharePoint does not offer this functionality out-of-the-box (OOB), which forces organisations to spend time and resources on customisation. Without server side code the level of customisation is limited. Integrating line-of-business systems into your workflow solutions is a highly technical exercise. Deploying your solution across environments is hard. Managing hybrid, on premises and cloud environments or planning for migration is incredibly difficult. 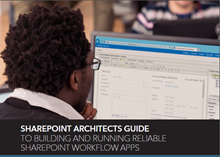 Download this paper and learn about the challenges organisations are facing when building SharePoint workflow apps and see alternative offers that will enable you to get reliable SharePoint workflow applications you want - without the challenges of customisation. 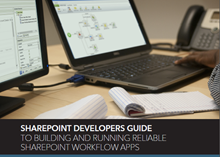 WHO BENEFITS FROM BUILDING RELIABLE SHAREPOINT WORKFLOW APPS WITH K2? IT Owner, SharePoint architect or developer - you will quickly reap significant benefits by building business applications with K2 for SharePoint. Download these white papers to learn more. Future-proof your investment in SharePoint and continually deliver innovative SharePoint solutions to the enterprise.